Topped with tomato sauce, then perfectly seasoned with a combination of Italian herb and grated mozzarella-style cheese, this single serve pizza is pizzeria-good! You can also add your own toppings, like mushrooms, onions or grilled veggies, so be creative and enjoy! Don't give up delicious at home or on the move. Refrigeration not necessary! 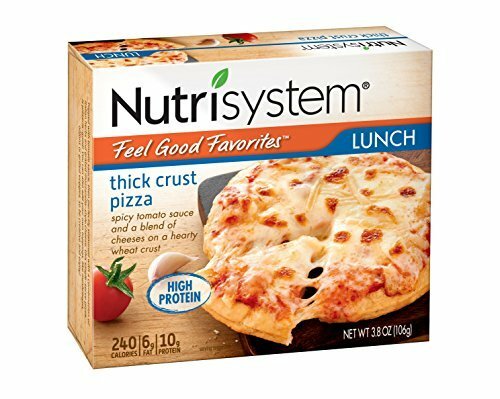 If you have any questions about this product by Nutrisystem Everyday, LLC, contact us by completing and submitting the form below. If you are looking for a specif part number, please include it with your message. Chudleighs Caramel Apple Blossom, 4 Ounce -- 68 per case.